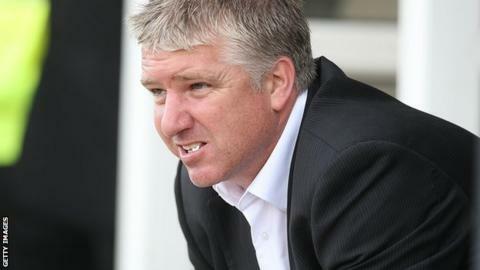 Torquay United manager Martin Ling has criticised his side for the way they gave up their unbeaten start to the League Two campaign. The Gull lost 1-0 at Rotherham but Ling says his side were lucky not to be on the end of a heavier defeat. "I thought we gave our unbeaten run up with a whimper," he told BBC Devon. "The 1-0 scoreline didn't do them any justice. If we'd have come away and nicked a point it would have been an injustice." And Ling says his side need to toughen up if they are to repeat their success of the past two seasons and reach the play-offs. "At times it looked like men against boys and I told the lads that they have to man up a bit," he added. "These were a decent team but I didn't think we matched them on the day. "The back four have been excellent all season, but they looked like they'd never played together, especially down the left side of our defence. "I thought Oastler and Saah looked fine on the right side of our defence but Downes and Nicholson struggled down the left."